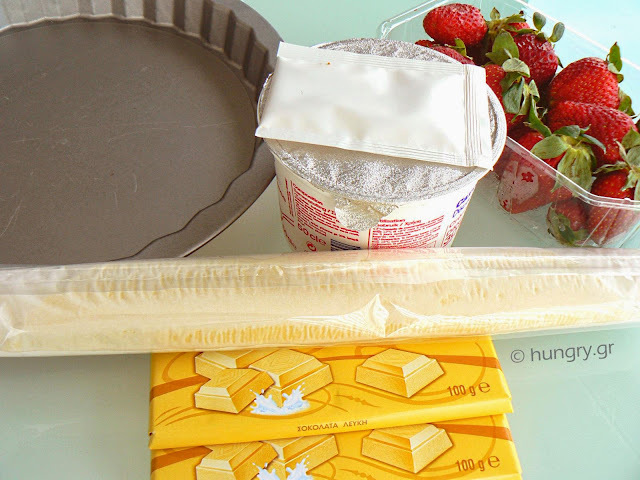 Open the puff pastry sheet and place it, along with the wrapping paper, in a tart pan with detachable base Ø28cm (Ø11in). 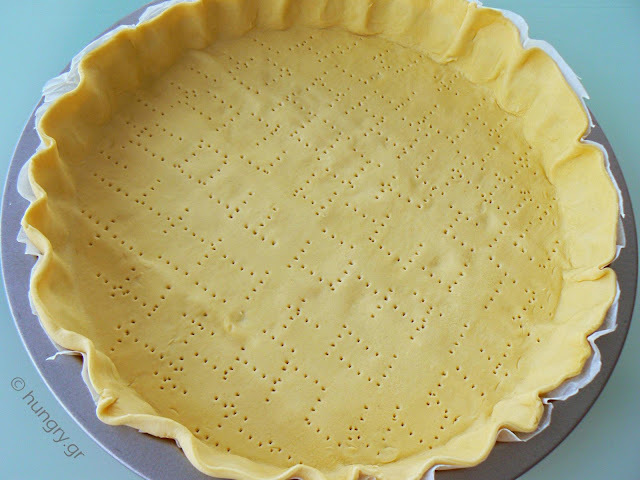 With a fork open holes across its surface. Cut circular as excess paper around the sheet. Put it in a preheated oven at 180°C (356°F, Gas 4.2) and bake until golden. We leave aside to cool. 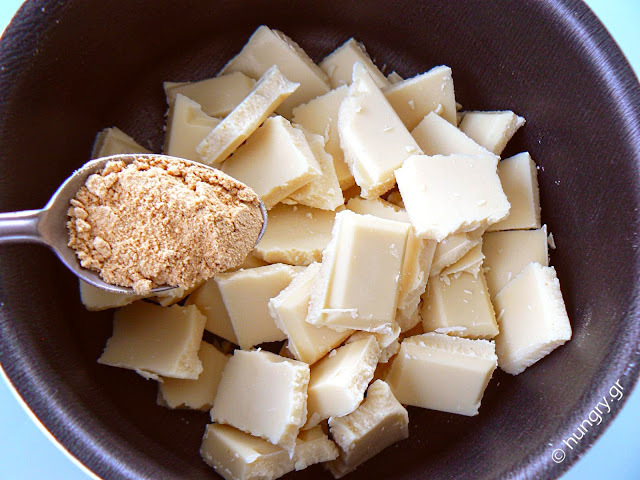 Put the gelatine in 4 tbsp cold water to rise. In saucepan over medium heat, heat the chocolate to melt. Add the ginger and puffed gelatin, stirring well. 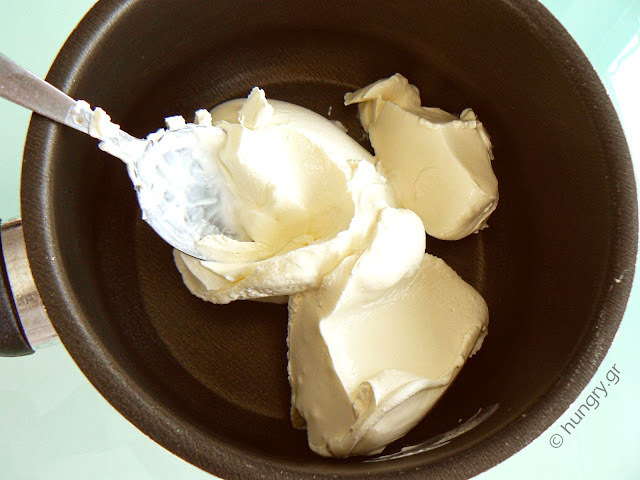 In another saucepan over medium fire, heat thoroughly the sour cream. 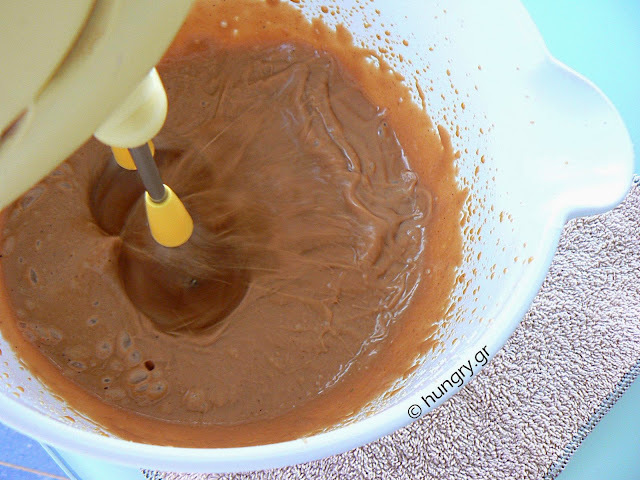 Just before boiling the sour cream, join in a large bowl with the mixture of melted chocolate. Beat with hand mixer to swell a little and homogenized. 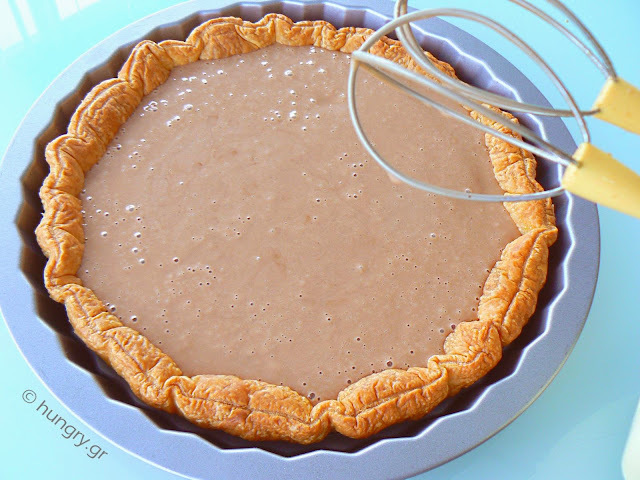 With a mixture of chocolate / cream fill the tart. Let it cool and then refrigerate to tighten. 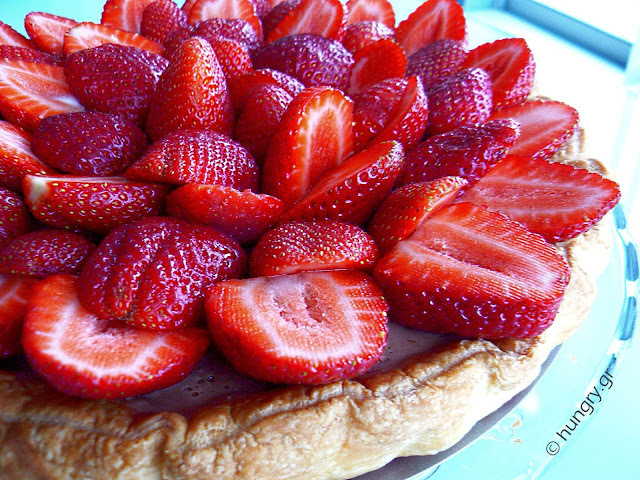 In the meantime prepare the strawberries. Remove the stalks and wash well. Pat dry with paper towels. 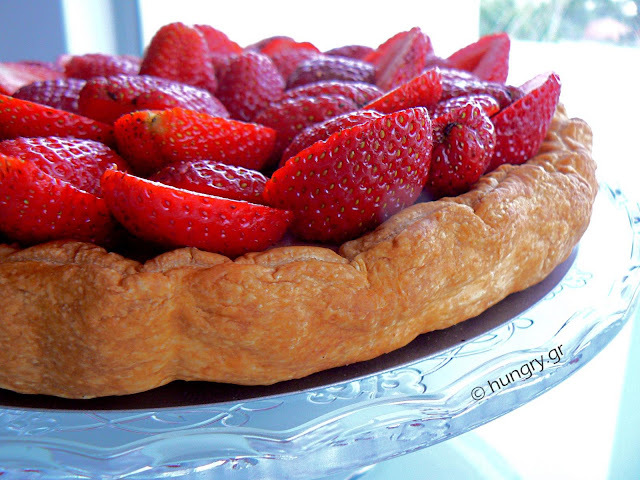 Cut them in two and place over the filling of tart cyclically. If you want, boil 2 tablespoons light colored jam in a little water and brush with this mixture the strawberries to polish. 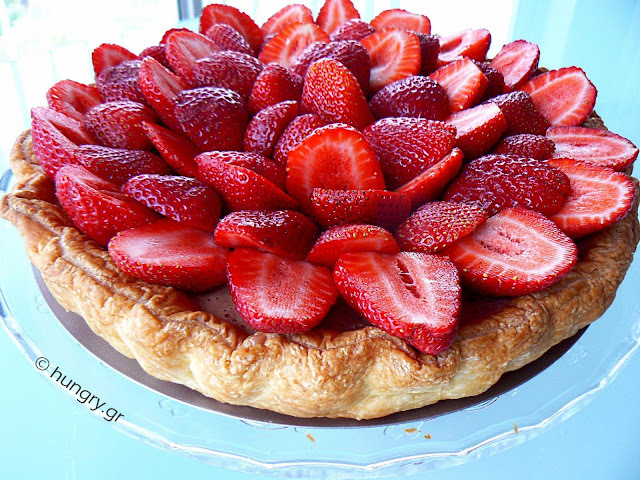 >Refrigerator dessert, with biscuits, whipped cream and covered with red, clear gel, in which we put strawberries, sliced​​.